How do you maximise the value created in a deal? By ensuring your new colleagues can go with the flow. 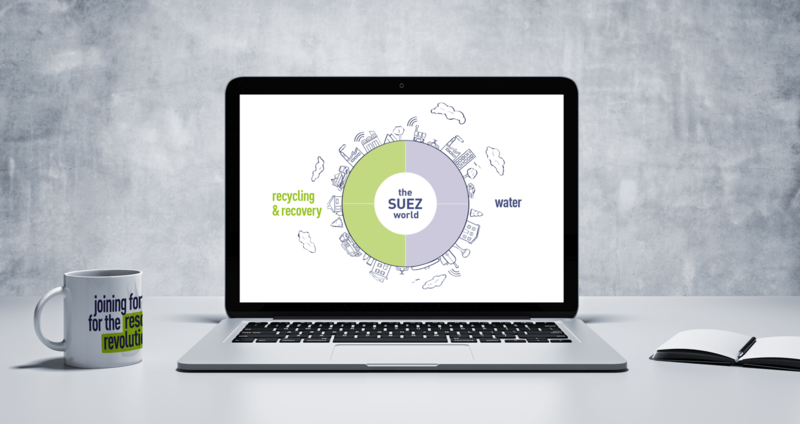 Global water and waste business Suez bought its US peer GE Water & Process Technologies, swelling its 2,000 strong business by 7,500 new colleagues. 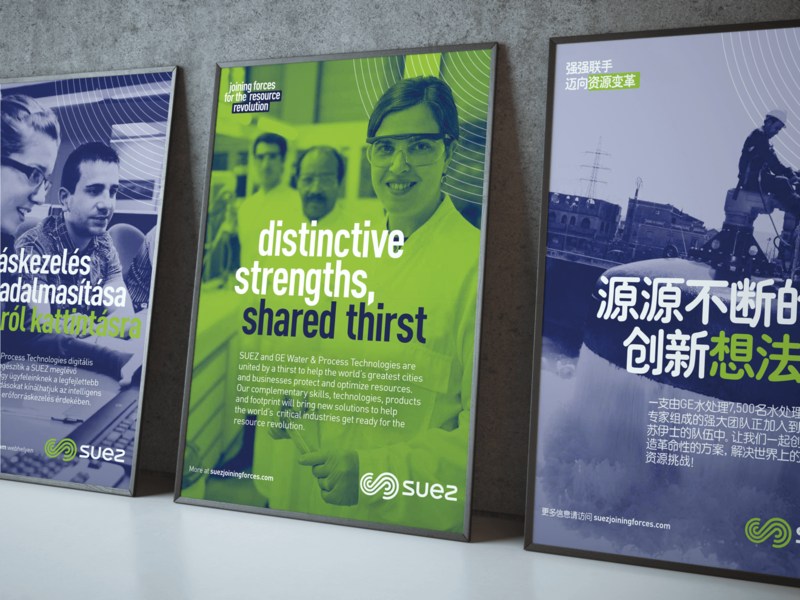 Suez wanted to make sure its new colleagues felt part of the family while reassuring existing staff that the unique Suez culture would be strengthened by the deal. 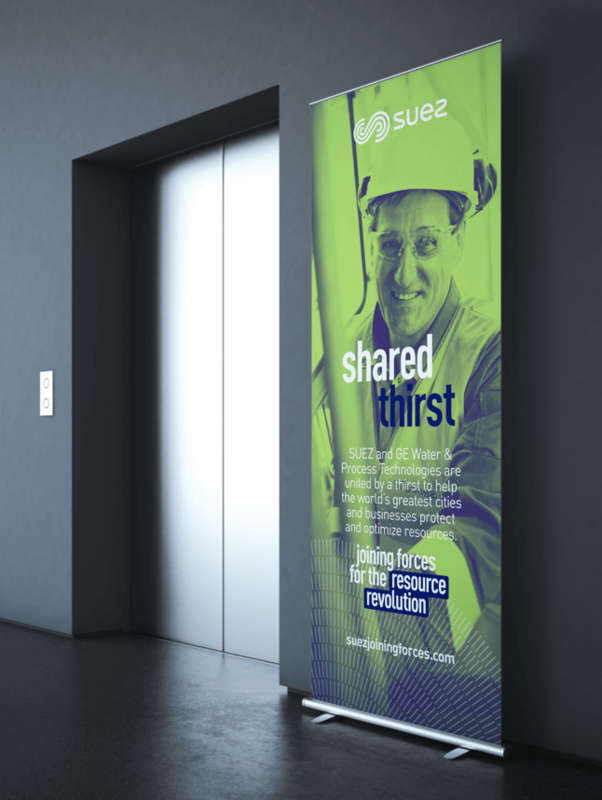 To achieve its ‘Resource Revolution’, Suez needed employees, new and old, to buy into in its vision and execute its strategy from day one. 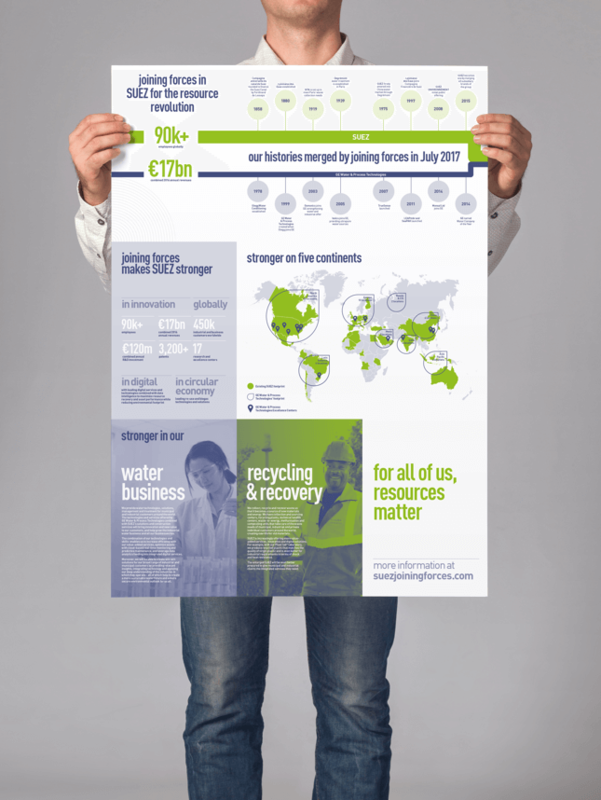 Our campaign helped Suez inform and engage employees from both businesses and in every region, all together. A shared digital hub made sure every employee from both heritages had the same information from day one. 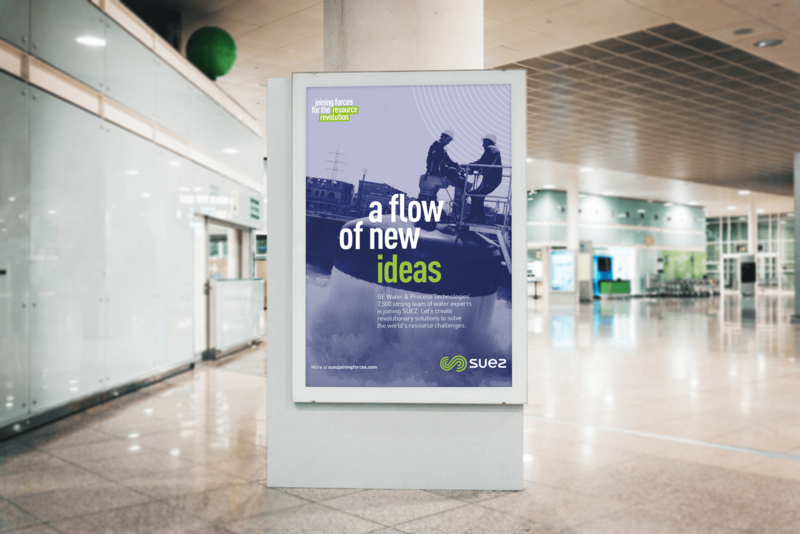 Branded welcome packs and launch materials were shipped to over 238 Suez and GE W&PT offices worldwide, including challenging locations like Iraq and Venezuela. The group’s day one ‘Celebration Day’ started with a global webcast broadcast from HQ sites in Paris and the US. 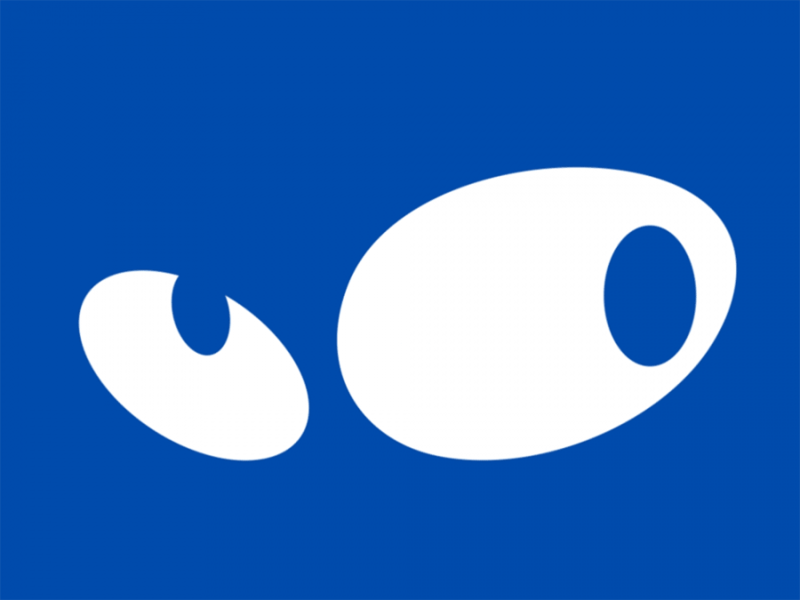 And films, including a clear animation, interviews and site visits, helped explain management’s goals. 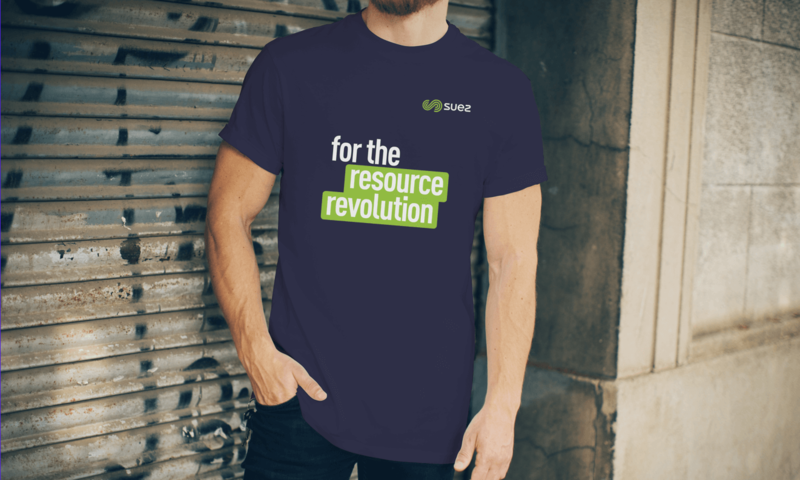 The campaign was a huge success; Suez is already one global team, ready to help the world get ready for the Resource Revolution.